Almost everyone does a favor for their boss at some point. Maybe it is working a few minutes late to help her get ready for a big presentation. Legally, most workers are entitled to be paid for all hours worked and overtime for working more than 40 hours in a 7 day period. We usually do these occasional “favors”, however, without seeking pay simply because we may need a favor someday. But what happens when your boss expects you to work an extra 20 minutes a day, five days a week? That can really add up. Let’s say that you get paid $18 per hour. In a year’s time you have racked up $1500 of unpaid time. At conventional overtime rates that is $2250! Earlier this month, an employee of Sally Beauty Supply filed a class action against her employer for not paying her to make bank runs for her boss. In a lawsuit filed in Ft. Myers, Florida, Rosie Nance said her boss frequently made her take the retailer’s bank deposits to the bank during her lunch hour. She also claims that these banks runs frequently made her exceed 40 hours during the week. Under the Fair Labor Standards Act (FLSA), nonexempt workers are required to be paid for all hours worked. They also must be paid time and one half for all hours worked in excess of 40 during a seven day period. Nance says she is not an exempt worker yet never received proper pay or overtime. If successful in her lawsuit, she is eligible for double lost wages, lawsuit costs and legal fees. Depending on whether the violation was intentional or accidental, employees can receive double damages for unpaid back wages or overtime for two or three years. In our opening example, we discussed the worker that puts in an extra 20 minutes a day. When you factor in 3 years and double damages, the damages become $13,500. Twenty minutes a day really adds up! Nance is not the only worker who claims her employer failed to pay for banks runs. In 2013, retailer Children’s Place paid $1.5 million to settle claims that their workers were not paid for afterhours bank runs. Dollar Tree settled a similar case in 2015. Once again, the company required employees to make bank runs while off the time clock. The Dollar Tree case was significant because the company operates 5000 stores in 48 states. T-Mobile fought a similar Fair Labor Standards Act for a variety of unpaid work including not paying for afterhours bank runs. Before the case could go to trial, the parties settled. The two employees who filed the case received $5,000 a piece and a $400,000 pool of money was established to pay claims of other T-Mobile retail store workers in Illinois. Often companies will send a manager or shift supervisor to the bank. Simply because the company labels you a manager doesn’t mean you are exempt from federal overtime rules. Employers will often falsely tell workers they are not eligible for overtime or that they are exempt. Not true! The law looks to one’s duties and how they are paid. Labels or titles are meaningless. While there is an exemption for management, most line managers, supervisors, and team leads are nonexempt meaning they are eligible for overtime and full pay for time worked. In recent years, class action cases have gotten a little bit of a bad rap. Many people associate class actions with a notice they received in the mail saying they are entitled to a twenty dollar voucher or other trivial amount. That often happens in consumer class actions where it is impossible to determine who purchased the 8 ounce bag of chips that only contained 7 ounces of product. In an employment class case, settlements tend to be more reflective of losses and must be approved by the court as reasonable. Using the Dollar Tree store example (above), the company tried to toss the case as a class action in 2014. They argued that the circumstances for each worker asked to do bank runs was “entirely disparate and lack[ed] any commonality.” I other words they wanted the court to say that each worker was on his or her own. For individual workers, trying to sue a multi-million dollar company for a couple thousand dollars in unpaid wages or overtime simply is not realistic. Failure to pay workers is against the law. Doing a favor for your boss is one thing but doing bank runs day after day after clocking out or taking twenty minutes a day to put on uniforms or safety gear is unacceptable. If you are working, you are entitled to get paid for that work. If you believe you were the victim of wage theft, give us a call. Contact us online or by telephone 202-800-9791. Looking for general information? 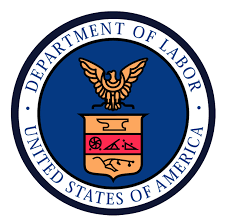 Visit our Fair Labor Standards Act Wage Theft page or our FLSA FAQ page for more details. There is never a fee for our service unless we first recover money on your behalf.